Hokkaido, the northernmost of Japan’s four main islands, is latitudinally different enough from the rest of the country that its seasons change later. So while the Tokyo area is getting ready for the early-summer rainy season to start, spring is finally getting into full swing in Hokkaido. Most visitors to the island plan their itinerary around the Sapporo to Hakodate route, but if you’re willing to venture into the eastern section of Hokkaido, called the Doto area, there’s some truly breathtaking scenery waiting for you in Higashimokoto Shibazakura Park. Technically, these gorgeous flowers are a kind of phlox. 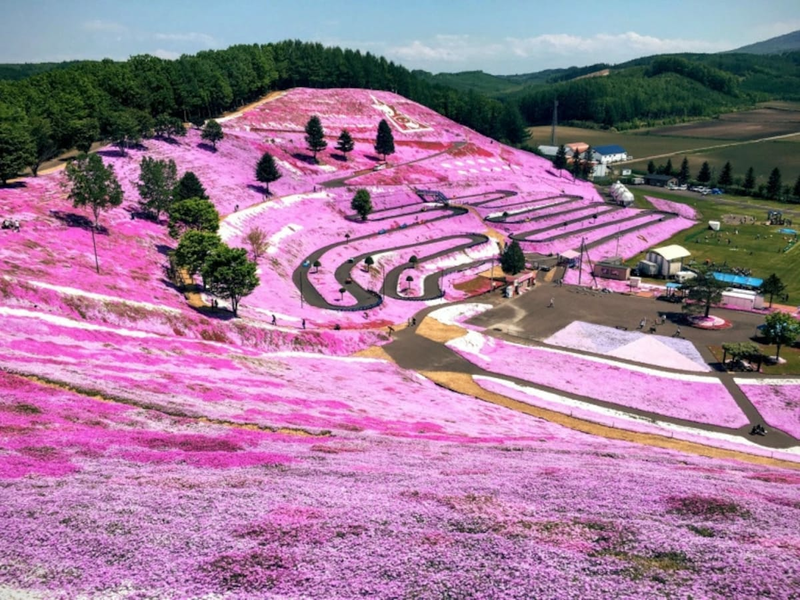 But in Japan they’re called shibazakura, or “lawn cherry blossoms,” due to their beautiful shades of pink that bring to mind the sakura trees that bloom each spring. As we mentioned above, Higashimokoto Shibazakura Park is a bit out of the way. The closest airport isn't Hokkaido’s main hub, New Chitose, but rather the regional Memanbetsu Airport. Conveniently, Memanbetsu is also the ideal airport to fly into if you’re headed to the wilderness of the Shiretoko Peninsula (a UNESCO World Heritage Site), or to hike Mount Mokoto. 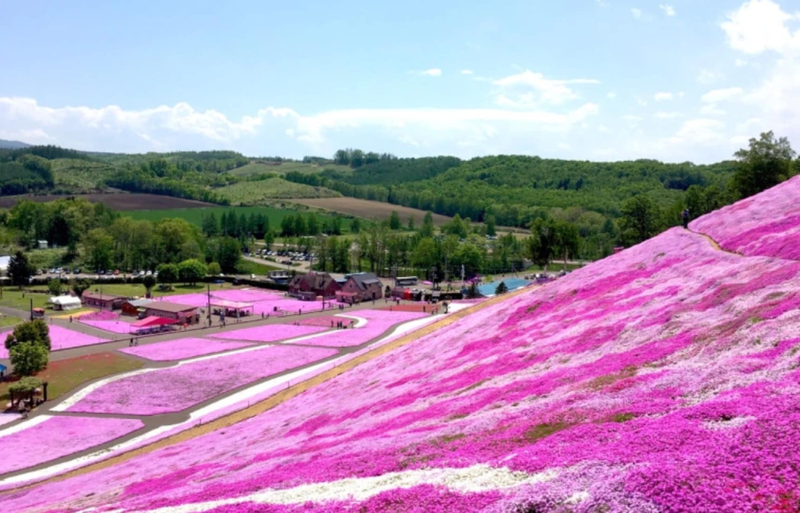 According to the park’s website, late May is the ideal time to see the shibazakura in full bloom. As a matter of fact, there’s even a Shibazakura Festival going on until June 3, 2018, featuring live music performances and food booths selling local Hokkaido delicacies, like shibazakura soft serve. Because really, the only thing better than a day gazing out over a field of beautiful flowers is a day gazing out over a field of beautiful flowers while eating ice cream. For the location of this beautiful park, be sure to read the full story below from Sora News 24!